Satire is dead. 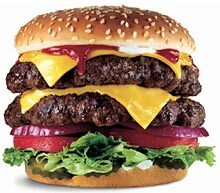 Have a burger. One of my satirical and musical heroes, the great Tom Lehrer, was famously quoted as saying that political satire died the day Henry Kissinger was awarded the Nobel Peace Prize. I am having something of a similar moment today. Obesity is also, of course, a major source of health problems, and health expenditure, in the UK. And you do not have to watch Jamie Oliver’s TV shows to understand that changes in our diet, and the inexorable rise of high-calorie convenience foods, play a role in this. But Fear Not – our new Government Has A Plan. It must, indeed, be a cunning and subtle one. For how else to explain that the people who are going to be “helping” with the Govt’s new anti-obesity public health strategy are apparently to be McDonald’s, KFC, PepsiCo, Kellogg’s, Unilever, Mars and Diageo. I am delighted that these major retail concerns, who sell such excellent, nutritious, refreshing and health-giving food and beverage products, are to put their undoubted expertise to use in making as much money selling us processed food as they possibly can helping us eat a healthier diet. Dr Aust often wears a standard red poppy for Remembrance Day. 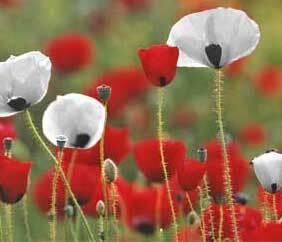 Though if white poppies were easier to find I might be tempted to wear both together, as discussed here. And just today I read something else, penned by Dr Phil Yerboots, that brought home this point about all those other lives changed forever by wars. So if you do want to stop at 11 o’clock, do it for whatever reason seems right to you. There are no rules about remembering.